All of our frames are made in house, so we can make them to suit all of your screen printing needs. 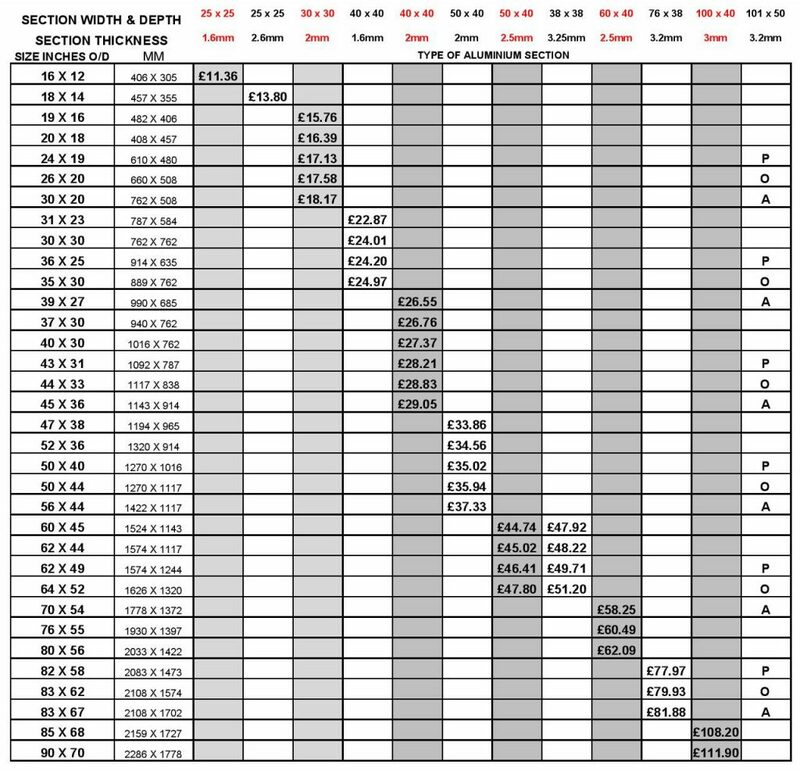 If you are looking for complete screens with mesh please visit our printing screens page. We also offer high quality polyester mesh which can be found on our screen printing mesh page. 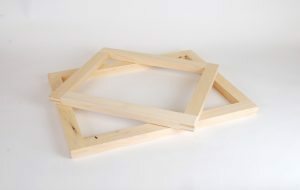 Hardwood silk screen printing frames, made from selected hardwood. All made with mortice and tenon joints. Strong and robust. 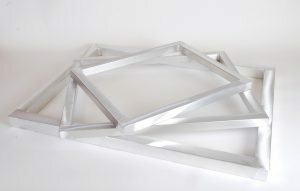 High quality frames for all types of screen printing. 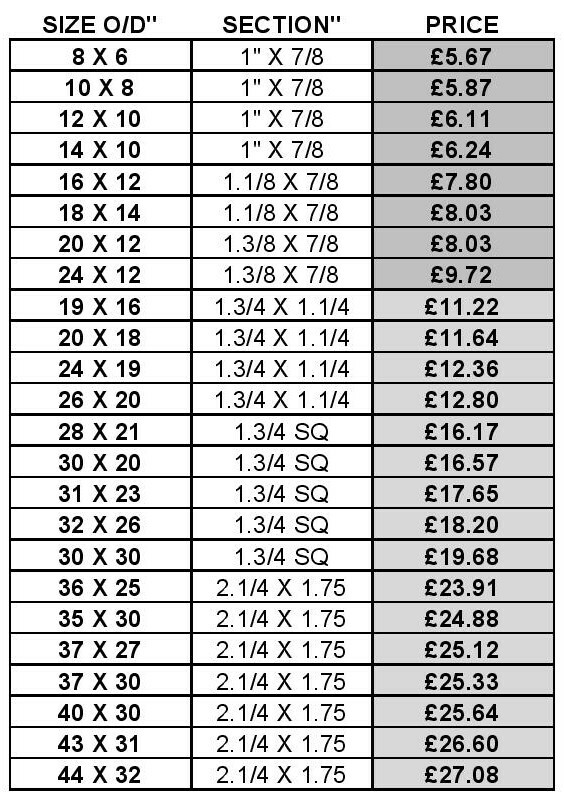 For Quantity Discounts: Frames must be of the same size and mesh count. 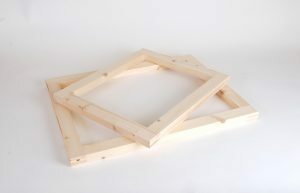 Wood silk screen printing frames, made from Swedish Redwood. All made with mortice and tenon joints. Strong and robust. 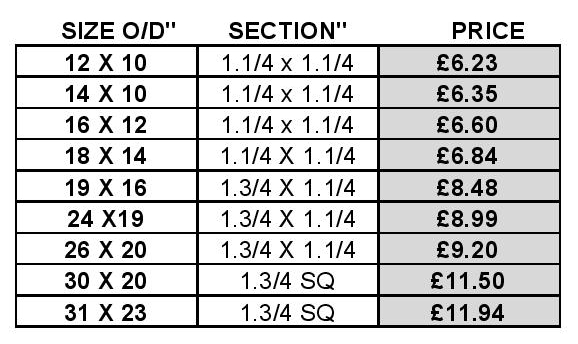 Prices for re-bated frames and cap frames on request. 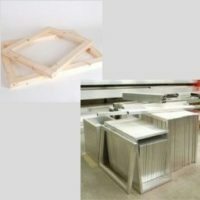 Aluminium screen printing frames (metal printing frames) made from welded lightweight aluminium box section. Strong & Durable. Roughened surface. Ready for stretching. No grinding necessary. Suitable for long and short print runs.